Colors match your gutter and improve curb appeal. 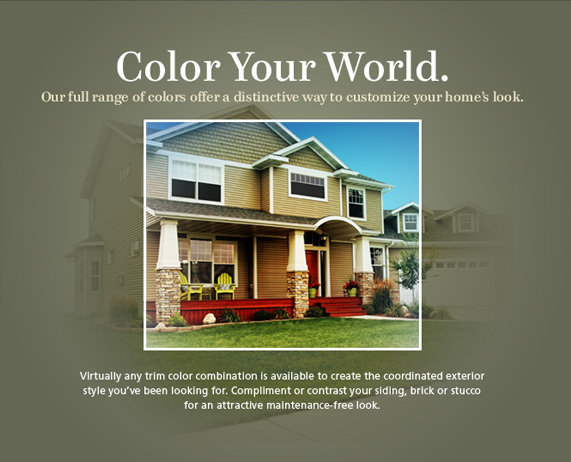 Our full range of colors offers a distinctive way to customize your home’s look. Virtually any trim color combination is available to create the coordinated exterior style you’ve been looking for. Compliment or contrast your siding, brick or stucco for an attractive maintenance-free look.